What happened? After Roy Jones suffered a series of disappointing losses in 2004 and 2005, Joey poked fun at the former-champ on Ja Rule&apos;s "New York" by spitting that "even Roy Jones was forced to lean back!" At the release party for Ja Rule&apos;s album R.U.L.E. at club Exit in New York, Jones stepped to Joe and, according to Ed Lover, Joe told Jones, "You were forced to lean back. Twice." And Jones left without saying a word. But a few days later, Joe claimed that he and Jones had squashed their beef. 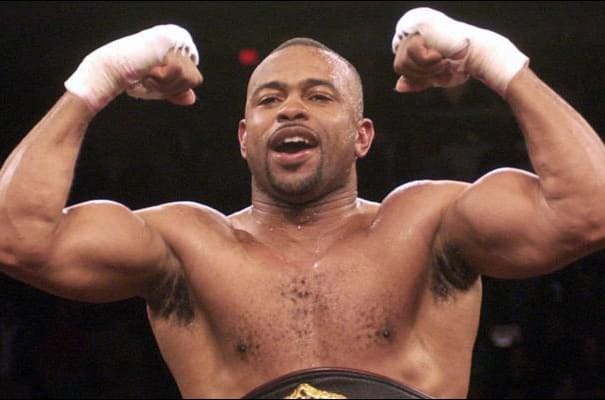 Complex says: Although he and Joe aren&apos;t in the same weight class, Roy Jones is still dangerous with his hands. The fact that Jones was in Joe&apos;s face after millions of people heard Joe dis him and still chose not to throw a punch says a lot about Joe&apos;s gangsta.